Spanish -Click HERE for more detailed information. History - Congratulations to the Junior Quiz Team won the prestigious finals of the Junior Cert History Quiz in Dublin..click HERE for further information. Students study eleven examination subjects in first year and ten examination subjects for their Junior Certificate. 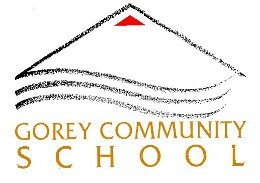 Gorey Community School offers a comprehensive range of subjects to all pupils at both Junior and senior level. Particular attention and guidance is given to individual students. All subjects are offered at Higher and Ordinary level. Boys and girls are given equal opportunity to study all subjects. In addition to the traditional Leaving Certificate both the Leaving Certificate Vocational Programme (LCVP) and the Leaving Certificate Applied (LCA) are available.